Known for reducing stress, muscle tension, and pain. It can also improve the immune system, posture and bring balance back to the body. Our Registered Massage Therapists are equipped to customize each massage based on individual client needs, specializing in therapeutic, pregnancy, deep tissue, relaxation, hot stone and sports massage. Our therapists either have a minimum of 2200 hours of training or are in the process of completing this training. This ensures the delivery of high quality therapeutic treatments that can be expected from a professional clinic. We also offer Ayurvedic Indian Head Massage. 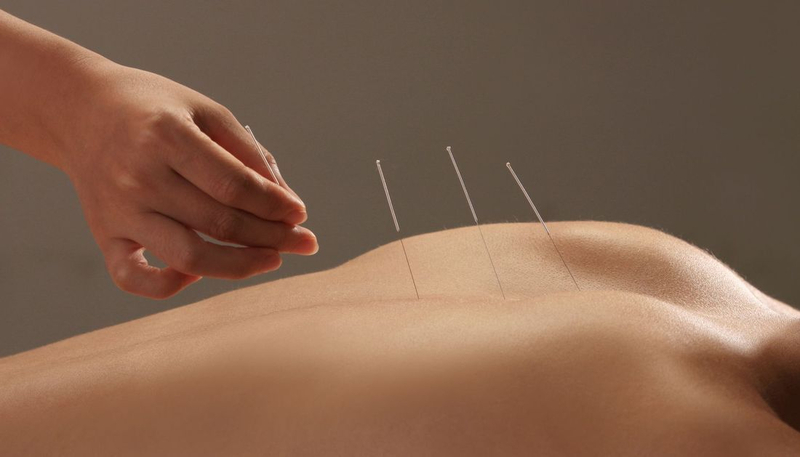 Acupuncture is an ancient form of Traditional Chinese Medicine. It involves the insertion of fine sterile disposable needles into selected acupuncture points of the body. These points are located along channels of energy, called meridians, which run through the body and over its surface. Meridians are like rivers flowing through the body to irrigate and nourish the tissues. An obstruction in the movement of these rivers is like a dam that backs up into others causing symptoms, pain and disease. Acupuncture points are located on areas of the skin that have a lower resistance to the passage of electricity than surrounding tissue and they make up a complete network system similar to the nervous system. Acupuncture is used to promote the body's natural healing, improve mood and energy, reduce or relieve pain and improve function of affected areas of the body. Acupuncture is a safe and effective therapy and can give relief when traditional medical therapy has failed. 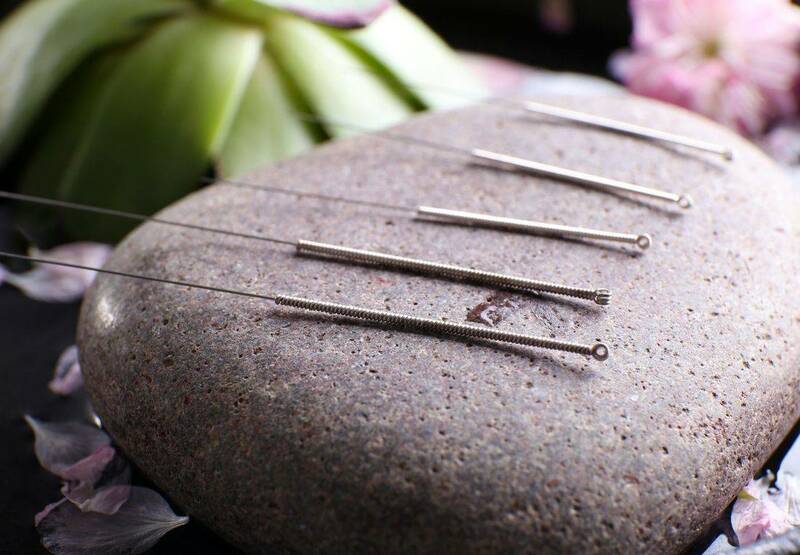 Acupuncture needles are very fine, flexible and sharp at the tip. They are very different from a hypodermic needle (these are used for injections, etc) as they do not have a cutting edge which slices through tissue. 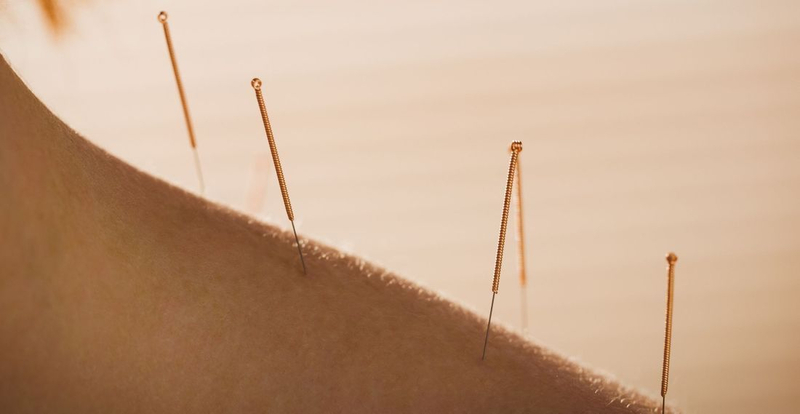 Acupuncture needles are designed to glide through tissues and makes them unlikely to cause bleeding or damage to underlying structures. An ancient practice that is used to treat several disorders. Cupping draws up old stagnant blood from the area to allow healthy free circulation, introduces healing properties, and restores oxygen to the affected area. This can leave bruising-like marks and it is these different colours and patterns that give the Acupuncturist an idea of what is occurring within the body. Known for decreasing pain, strengthening a weak or injured muscle, decreasing swelling, and relaxing tight muscles, kinesiotaping can lengthen the effect of your treatment. Performed by our Registered Acupuncturist, this service is available as a stand-alone treatment or as an add-on to a massage or acupuncture session. Reflexology is based on reflex points found in the feet, hands, face and ears that relate directly to specific body systems, organs and glands. By using firm massage techniques, these reflex points can be stimulated to assist in healing the relating organs and glands. It allows blocked energy flow to be rebalanced and returns homeostasis within the body. Hand, foot, ear, and facial reflexology are the areas of the body where most of the work is performed. Reiki originates from Japan. The word "Reiki" means universal life force energy and it is Sensei Mikao Usui who began to teach this system. It works with the chakra system and will affect each person differently, but it always acts wherever the receiver needs it most. The body holds wisdom to heal itself and Reiki goes to the root cause of discomfort in the body to begin healing. It will work on all levels of mind, body, spirit, and emotions, and it provides deep relaxation, peace, and a sense of well being. 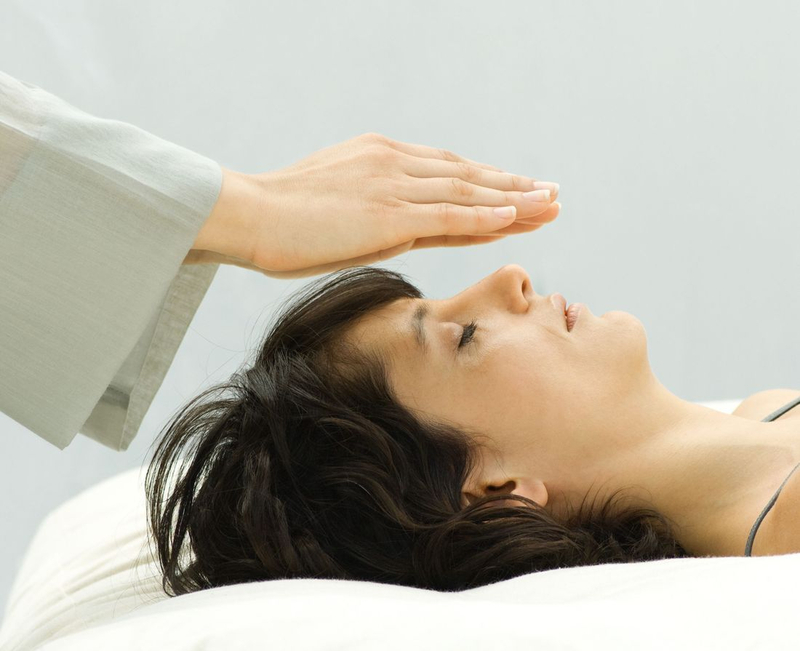 Reiki is a pleasant holistic health modality that will revitalize the body, mind, and soul. Shiatsu literally means finger pressure (Shi - finger, Atsu - pressure). This ancient form of acupressure is performed by pressing "tsubos" located on energy channels on the body. Tsubos are specific points along the energy channels (meridian lines), that when pressed upon, can stimulate the body's energy to flow more easily. The meridian lines are divided into Yin and Yang, which each have their own representations. In oriental medicine, the body's strength is located in the centre - the Hara - which is located around the belly button. When we are healthy, the Hara is vibrant, firm and strong. When we are weak, our immunity is impaired and the Hara becomes tight, with pockets of "dead" energy. Through a Hara diagnosis, a knowledge is gained of which energy channels (meridian lines) may be blocked. Shiatsu's best application is to maintain health and vitality, by supporting the natural flow of energy in the body. By combining Applied Shiatsu and Massage, it helps clients gain a better sense of well being with reduction in pain and discomfort. BodyTx is thrilled to expand our services to include in-home massage treatments for those who are unable to come to our clinic. The treatments are aimed at increasing range of motion and circulation, and reducing edema, pain, stress, and pressure sores. The massage can be performed in the comfort of their home with loose-fitting clothes on, or if able to transfer to a table (we would bring this on site), the massage can be done from an upright or sidelying position. Our Registered Massage Therapist will visit on site for a free initial assessment to determine the best treatment plan. Should massage therapy be found to be of benefit, a 30 or 45 minute massage session is recommended. If you think this would assist someone you care about, we'd love to help. Contact us at (587) 285.4411 to inquire about booking a session. Please note online booking is not available for this service at this time.